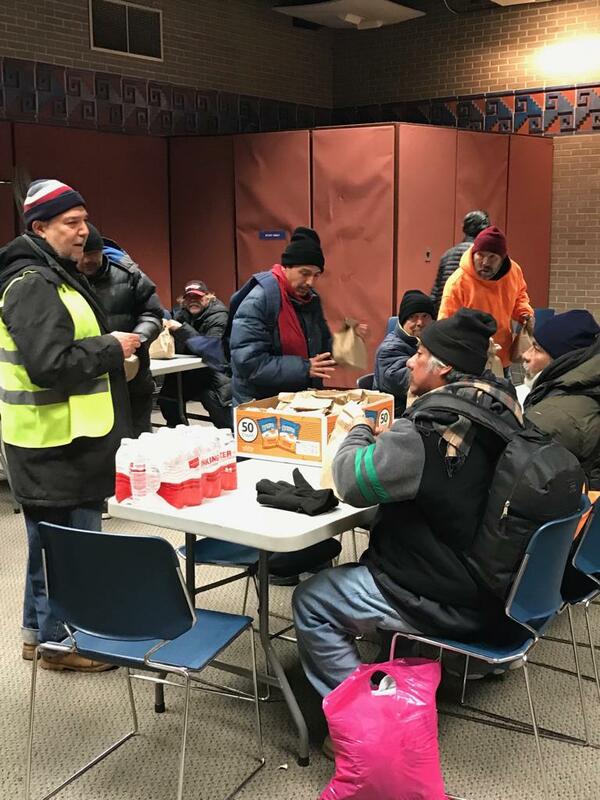 Chicago, Jan. 31 — For the second straight day Zakat Foundation of America’s men and women trekked into Chicago’s lethal subzero weather and wind chill to clothe and feed the city’s burgeoning homeless with blankets, coats, hats, socks, warm meals, and water. 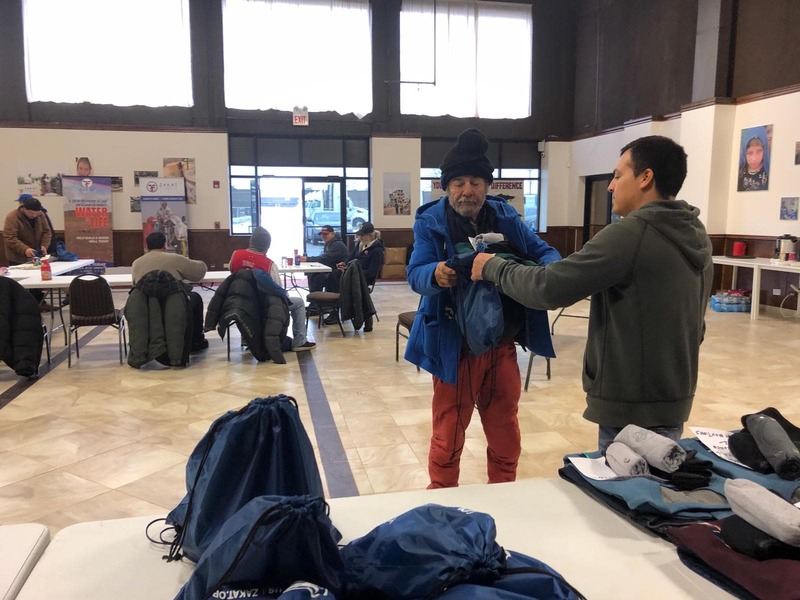 “We rented hotel rooms to rescue the shocking number of our homeless brothers and sisters we found still on the streets in this killing cold,” said Halil Demir, Zakat Foundation’s executive director, who has personally led the campaign. Chicago temperatures hit minus 21 degrees this morning, with a biting wind chill of minus 39 degrees, according to the National Weather Service, the coldest Jan. 31 on record for the city of broad shoulders. 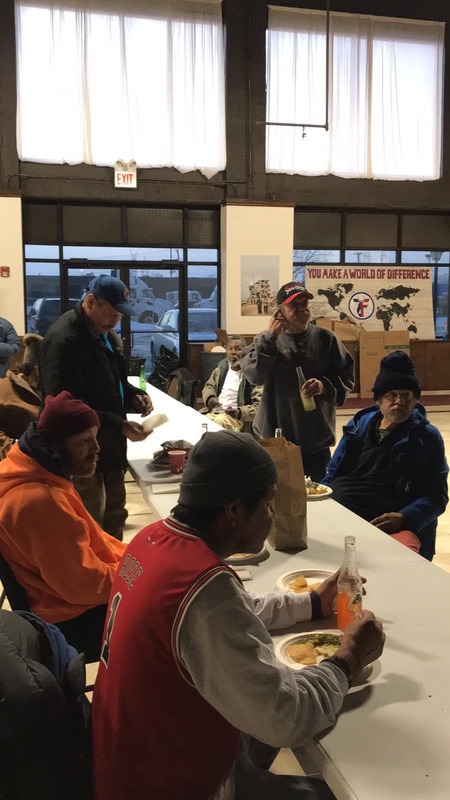 “Thank God for the hearts and courage of these people,” said one woman whom volunteers gave winter gear and wholesome nourishment. The packing of food and winter clothes and truck loading started for Demir and his band of Zakat Foundation volunteers in the bone-chilling dawn hours. Lifesaving help in hand, they plunged once again into the glacial air, where tossed up boiling water solidified instantly into ice crystals before falling to the snow-covered ground. They fanned across Chicago to its swarming shelters, teeming temporary warming centers, and packed police stations. 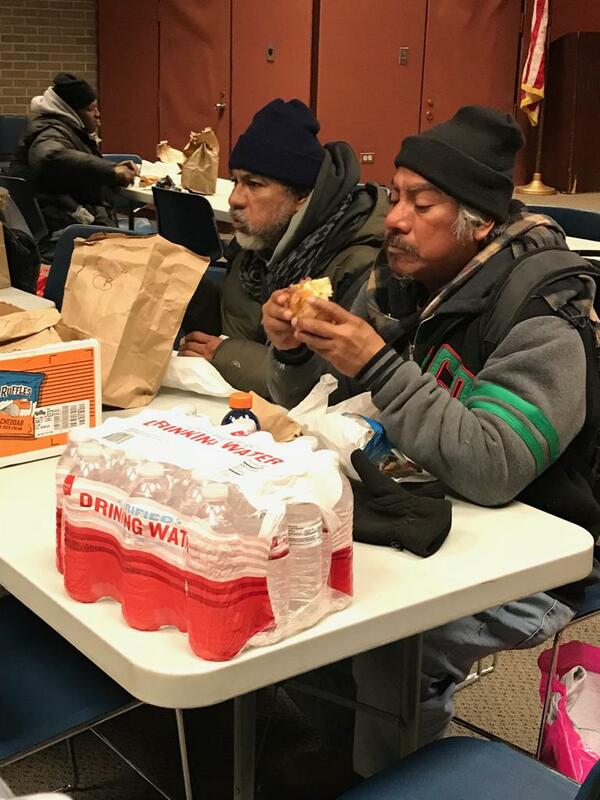 Hundreds of emergency winter gear items bought by Zakat Foundation donors quickly found their way onto grateful bodies, heads, and hands — and steamy halal meat sandwiches and bottled water into calorie-craving stomachs. 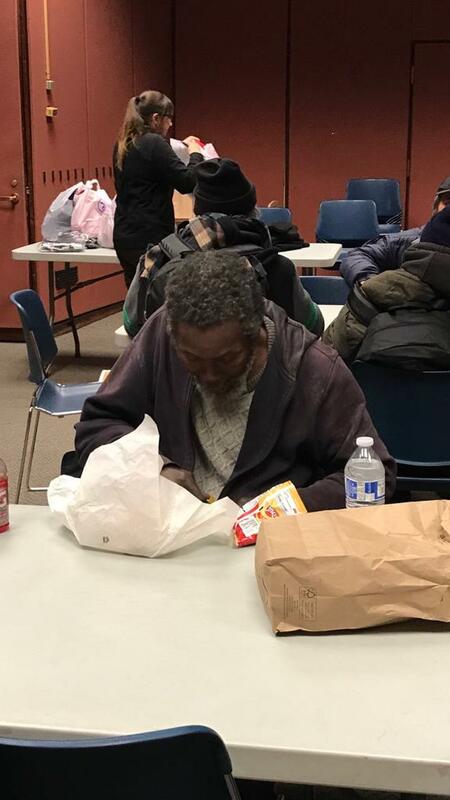 Volunteers also gave out hygiene packages for oral care, washing, and special needs. 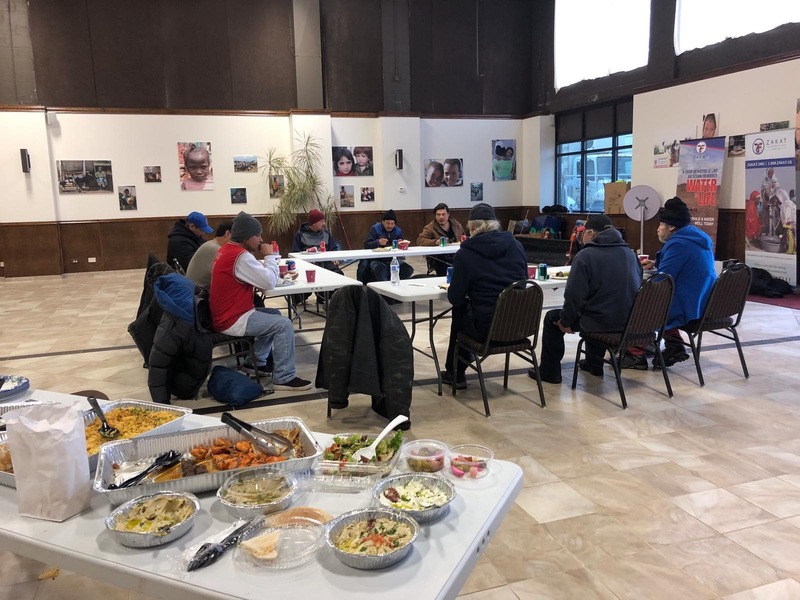 “I am grateful that God has given me and our Zakat Foundation supporters and helpers the blessing of getting in touch with our neighbors in need,” Demir said. “But, my God, my heart has broken. Is it possible in a city of clear heavenly favor and given wealth that such shocking inequality runs riot among us?